Nintendo 3DS: A Premier System For Fighting Games? Street Fighter? Dead or Alive? Tekken? Nintendo's portable has come out swinging. Most consumers don't purchase Nintendo systems for fighting games, which is odd, considering Super Nintendo was the console to buy for 2D brawlers. During the 90s, the little gray box played host to near arcade perfect ports of Street Fighter 2 (and it's 94 sequels) and Mortal Kombat 2, along with lesser known beat-em-ups, like Teenage Mutant Ninja Turtles: Tournament Fighters and Primal Rage. Midway even delivered a version of the popular coin-op, WWF WrestleMania: The Arcade Game. Looks so much better than the Genesis version. Once SNES was put to rest, Nintendo went through a dark period. The Nintendo 64 had no triple A fighter (Mortal Kombat 4, at best), while Game Boy Advance and DS had slim pickings; the Japan only Jump Superstars games. Only the GameCube registered, and barely, with the Link powered Soul Calibur 2, as well as additional Mortal Kombats. That said, it's a bit of a shock that third parties are so interested in bringing popular fighting franchises to 3DS. In fact, the handheld had its first long before Nintendo released a Mario adventure; 3DS launched in March, Super Mario 3D Land just came out. 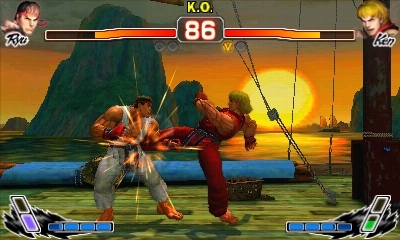 Capcom kicked things off with an outstanding port of Super Street Fighter IV, dubbed 3D Edition. It definitely failed to receive the credit it so rightfully deserved, as critics were too obsessed with bashing the machine for what it lacked. The publisher even made great use of the StreetPass feature, while offering a new over the shoulder perspective that brought new depth to the franchise. We have nothing but love for Street Fighter IV 3DS. Then, Tecmo Koei threw its proverbial hat into the arena with Dead or Alive Dimensions, which is arguably one of the best DoA games in history, with a story mode that ties (some) loose ends together and 26 playable characters. The action takes a noticeable dip with 3D turned on, but make no mistake, this is DoA in the palm of your hand. 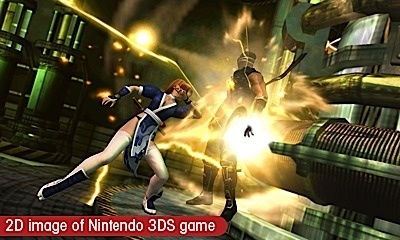 Dead or Alive Dimensions delivers the console experience on 3DS. The disappointing BlazBlue: Continuum Shift 2, followed, otherwise known as a bump in the road. Now 3DS has an even brighter future. 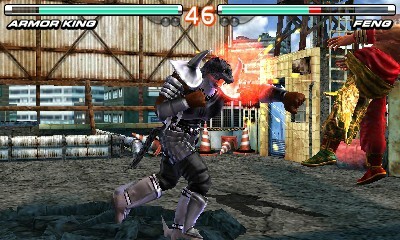 Namco Bandai will unleash Tekken 3D: Prime Edition sometime in 2012, with over 40 characters, 700 3D cards and touch screen commands. It also moves at 60 frames per second, even with glasses free 3D; take that, DoA. Tekken 3D seems like a solid fight companion. Then we have Nintendo's own, and quite mysterious, Super Smash Bros. title, release date unknown. This marks the first time the franchise will appear on a portable, which is all kinds of exciting. Thing is, the sky could be the limit. If these games sell well, it could lead to other franchises making an appearance. After all, it should go without saying that if copies of Tekken fly off shelves, Namco Bandai may consider a 3DS exclusive Soul Calibur. 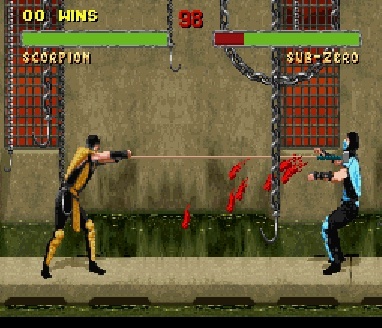 Perhaps Sega would retool a Virtual Fighter for the platform, and maybe Warner Bros. would do the Mortal Kombat series justice, as it did on consoles earlier this year. Point being, 3DS already has two quality fighting games on shelves with more on the way. It'll never replicate the experience one has in arcades or even with a PS3 controller, but this is definitely a step in the right direction. We look forward to seeing where things go from here.